Sally Smith of Dillingham, Alaska, died January 10, 2017. A Yup’ik woman from the Bristol Bay region known as one of the people who created the Alaska tribal health system and a savvy national advocate died Tuesday [Jan. 10]. For nearly 50 years, Sally Smith played a key role in transforming an under-funded, under-staffed and ill-equipped health system for Natives into one that is a model for tribal self-governance. Sally Smith was a petite woman who showed up to meetings early, well-prepared, and stylishly dressed and groomed even after a red-eye back from Washington, DC, where she testified before Congress and went to countless meetings, working to improve health services to Alaska Natives and other Native Americans. Valerie Davidson is Commissioner of the Alaska Department of Health and Human Services . Davidson said Smith kept the long-term needs of her people foremost in her mind, and that made her a fierce advocate. “I pity the poor fool who ever mistook her kindness for a lack of strength or a lack of resolve to do what is right for Alaska,” said Davidson. Starting in the 1970s and continuing into the 1990s, the Indian Health Service shifted management of health services in Alaska to tribal management. 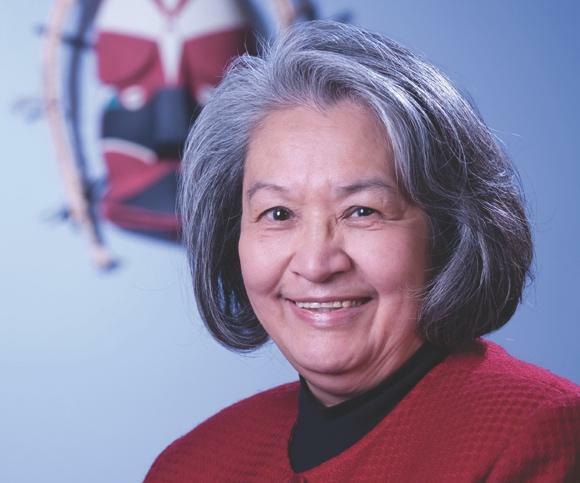 During that shift Smith served, often as chairperson, on the boards of the Bristol Bay Area Health Corporation, Alaska Native Medical Center, Alaska Native Tribal Health Consortium, the Alaska Native Health Board, and the National Indian Health Board. Lincoln Bean, of Kake, served alongside Smith on several of those boards. He said the details of the transfer were painstakingly worked out. Boerner said Smith’s contributions were not just her expertise on self-governance, health, and community engagement, but the tone she set. Davidson said Smith was one of a group of tribal health leaders who set ground rules for negotiations, rules such as to work toward consensus, with transparency, and when working with outside entities, to put the Alaska tribal health system first. Rather than compete with each other for a limited number of federal grants for self-governance, Alaska tribes applied as one group. They continue to compact as a group. Alaska now is the only state where tribes operate almost the entire Indian Health Service health care delivery system. Bean said with the transfer came access to new sources of funding, bringing hundreds of millions of dollars into the tribal health system. “When we assumed the responsibility, we collected third party billing -- Medicare, Medicaid, private insurance,” said Bean. Indian Health Service funding now covers less than half the cost of providing health services to Alaska Natives. Taking over management of health services allowed tribes to create innovative programs, manage budgets and hire specialists to target diabetes, cancer, and other health needs of Alaska Natives. Davidson was a teenager when she met Smith. She said Smith took her – and many others – under her wing. Smith has been honored with awards from the National Indian Health Board, Alaska Federation of Natives, Alaska Native Tribal Health Consortium, and Healthy Alaska Natives Foundation. Sally Smith is the mother of four sons. She died of leukemia January 10th. The family is planning to hold services in Anchorage on January 20th and in Dillingham on January 22nd. Sally Smith was 70 years old.